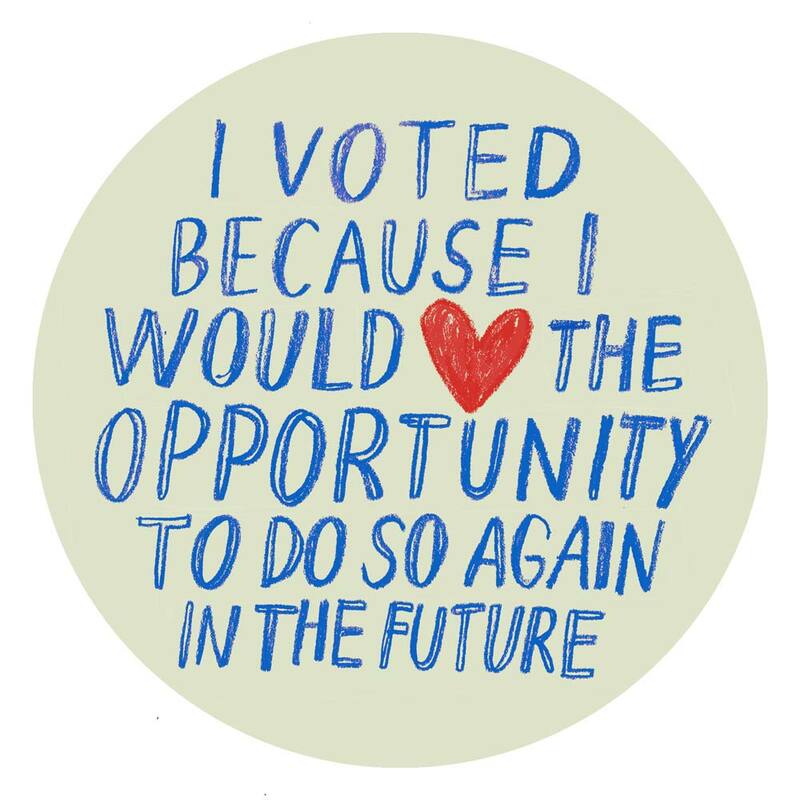 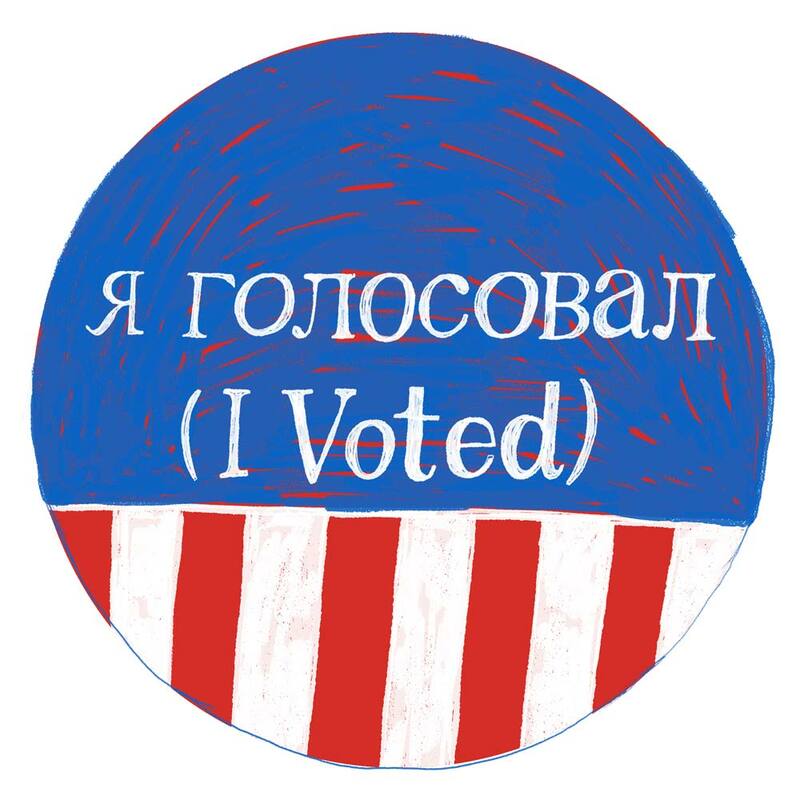 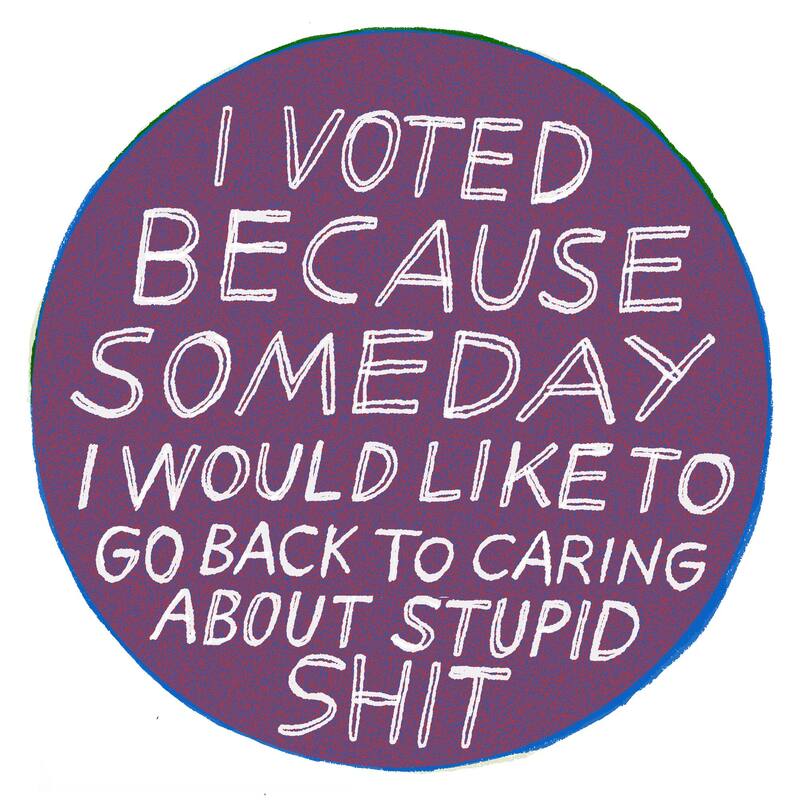 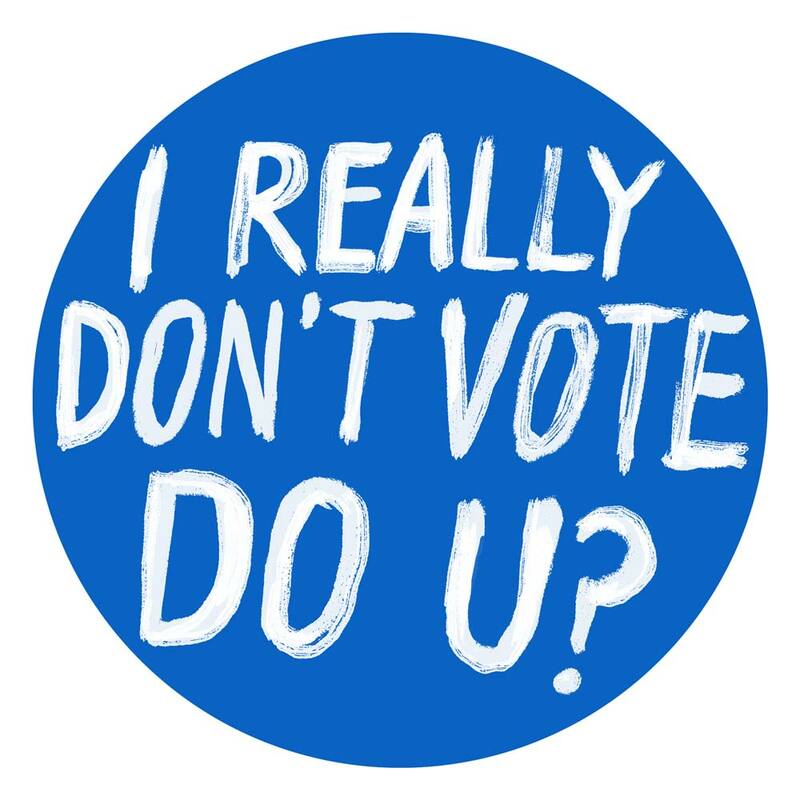 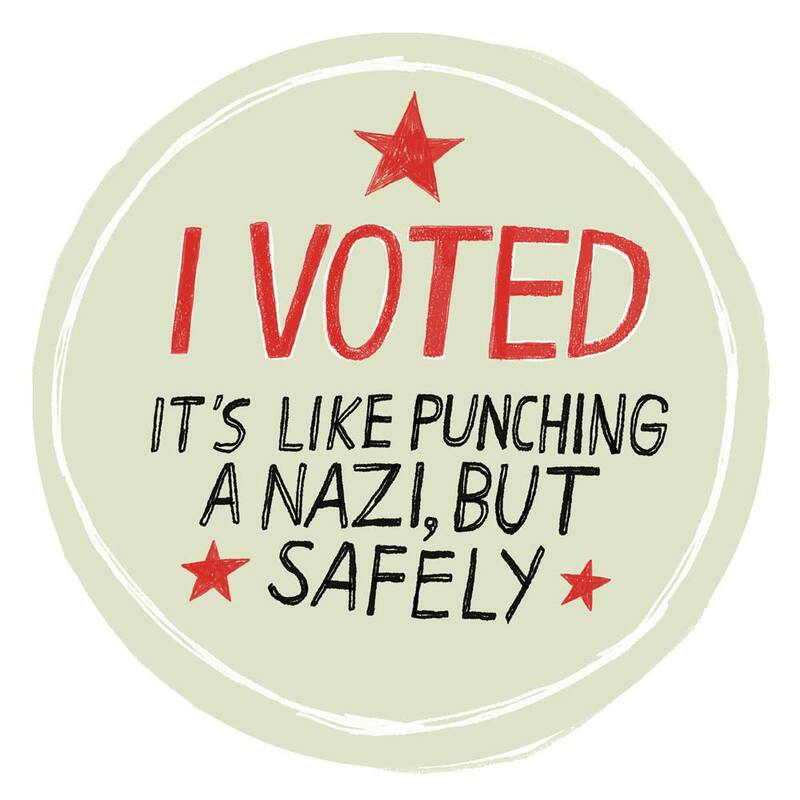 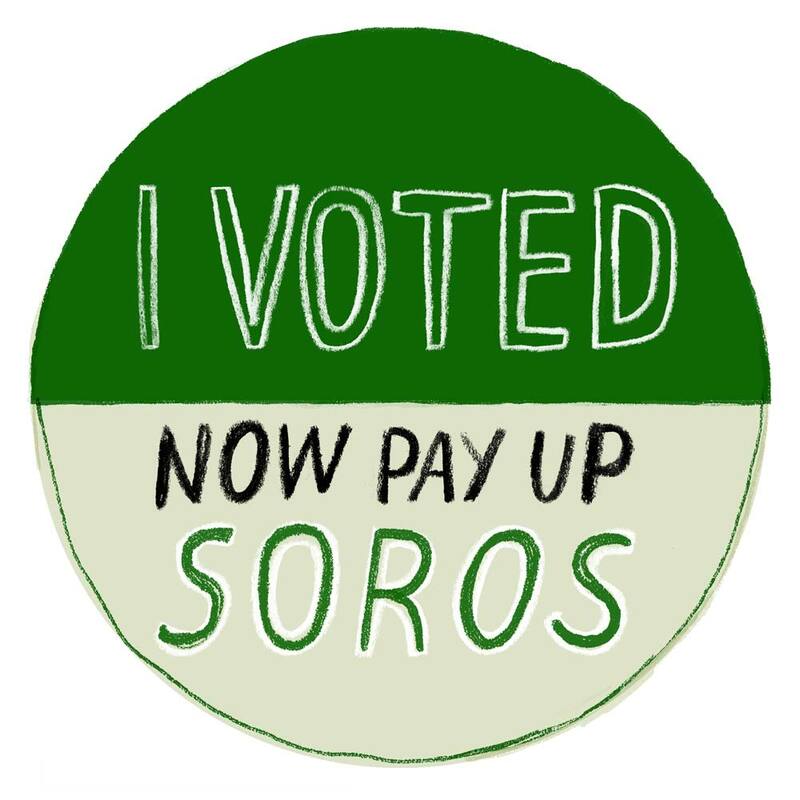 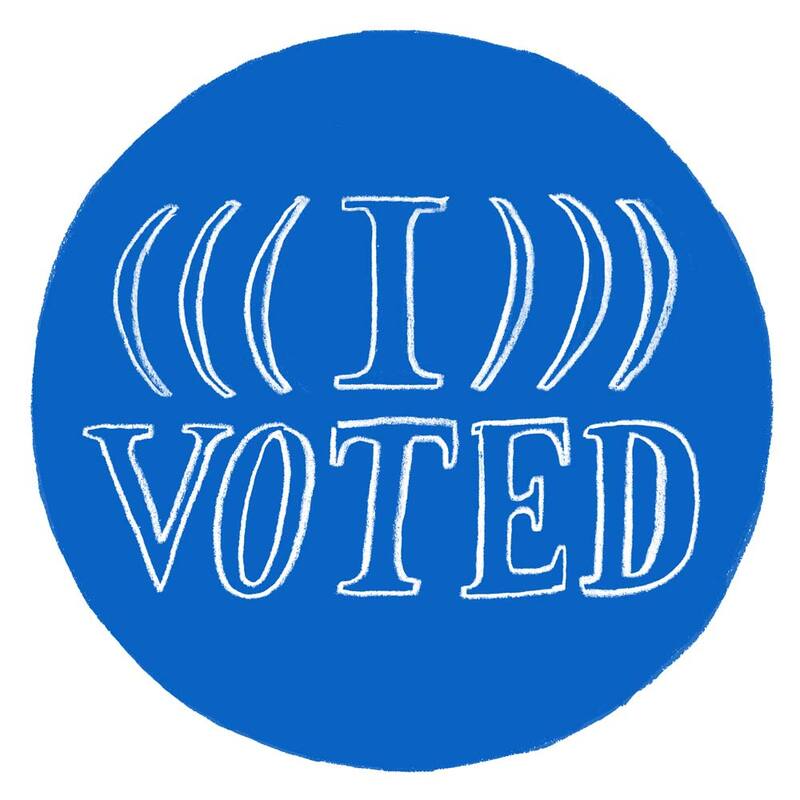 “I Voted” stickers for the 2018 midterm elections: Print these at home. 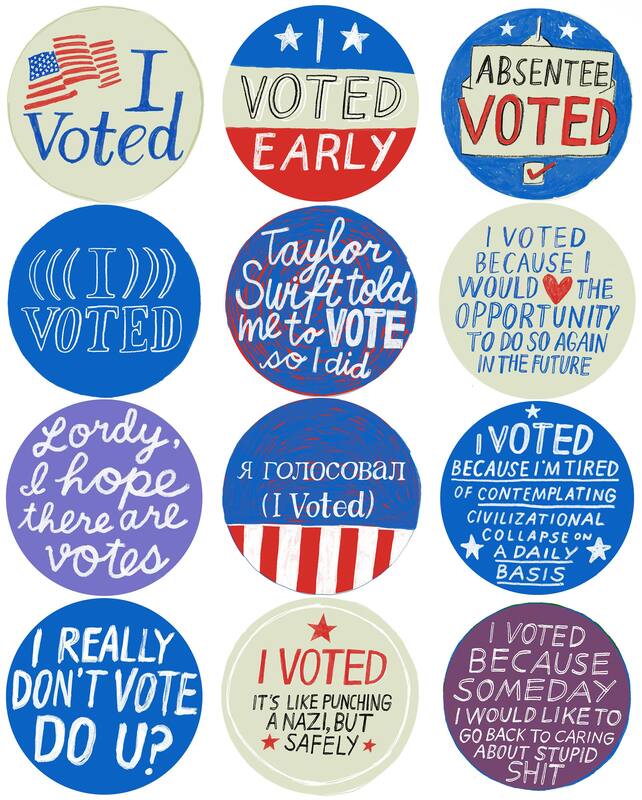 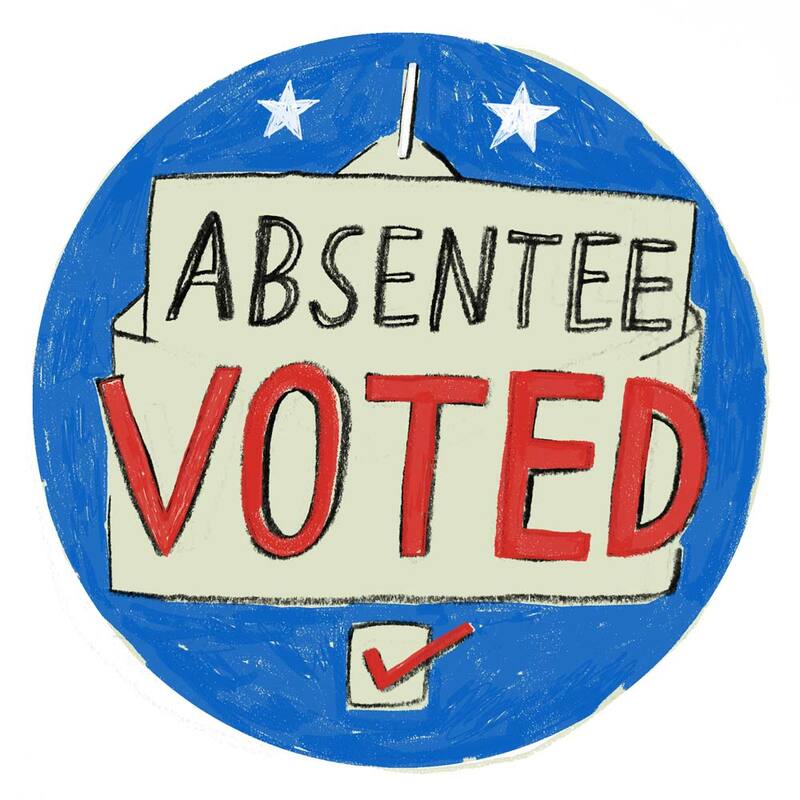 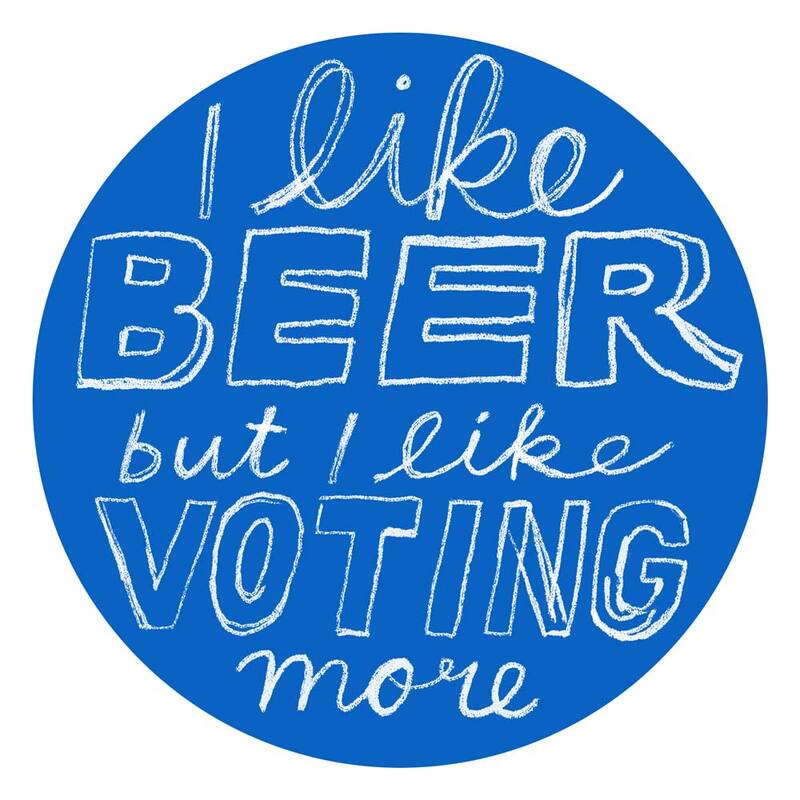 The stakes for this year’s midterms may be the highest in memory, but we all know the real reason Americans vote is the stickers. 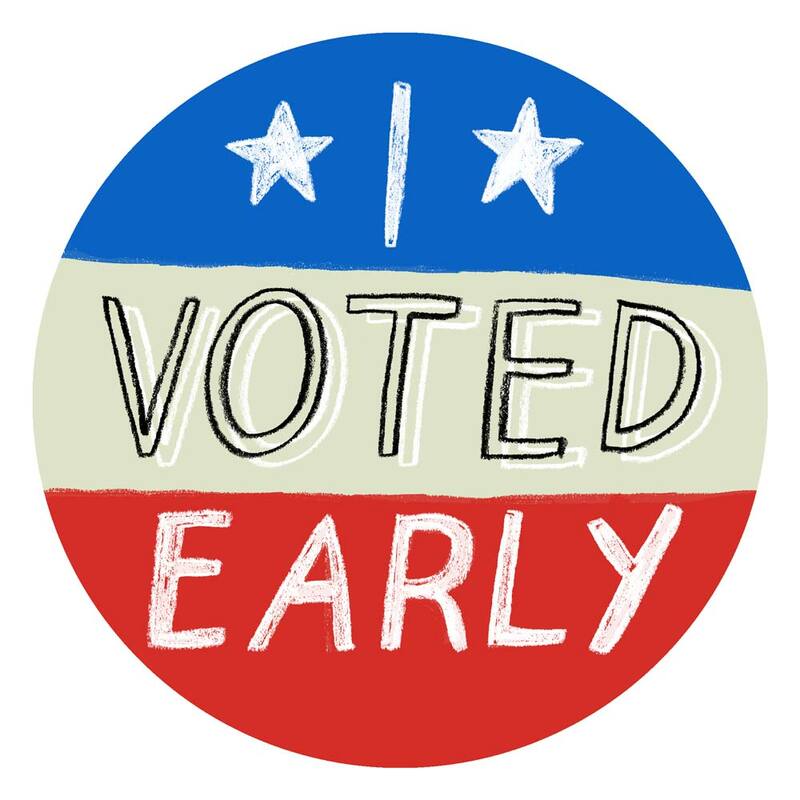 Luckily, if you live in a state or county that was too cheap to provide one, or if you voted early or absentee, we’ve got you covered. 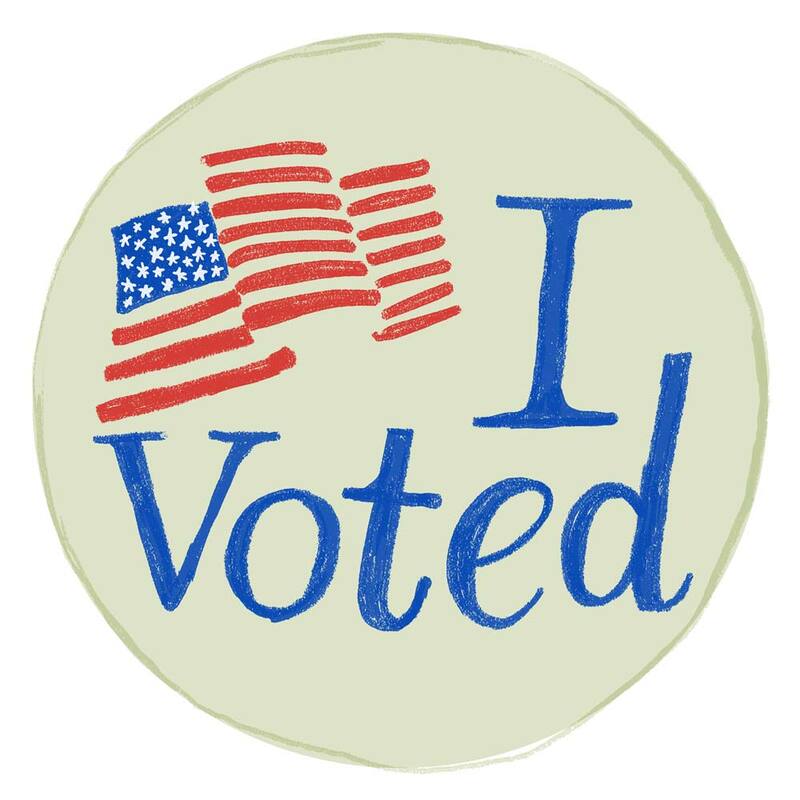 Print out one of our custom-designed sticker sheets at home (use sticker paper, or just grab some double-sided tape), and wear it with pride. 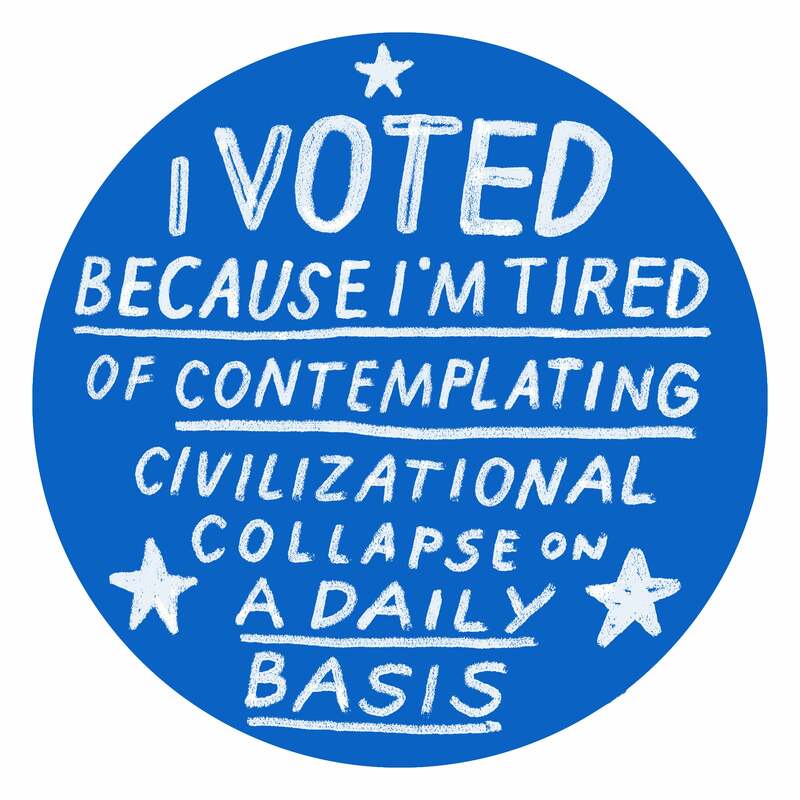 Read more from Slate about the 2018 midterms. 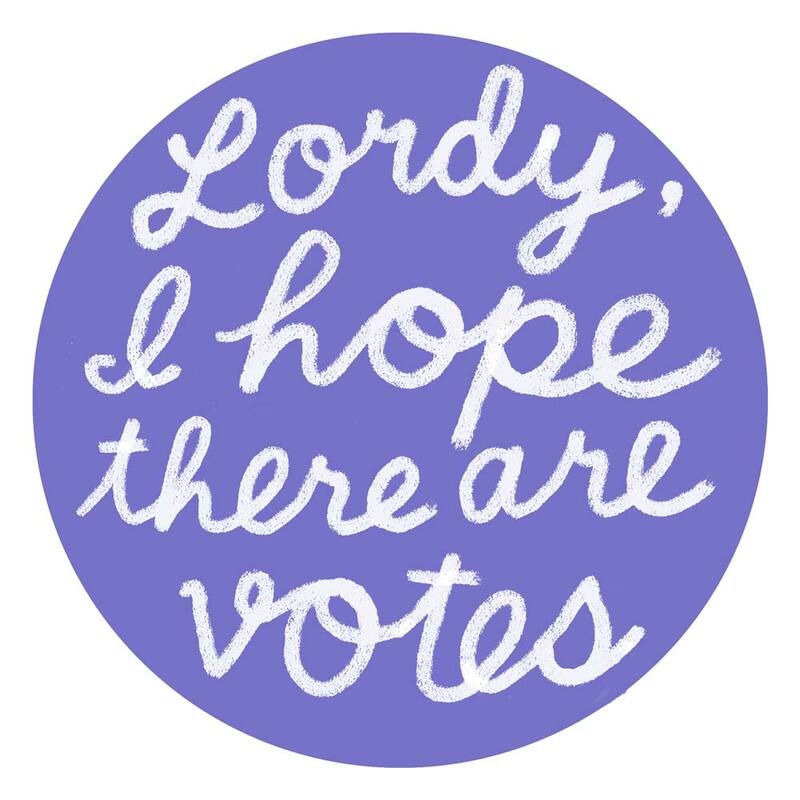 Lisa Larson-Walker is Slate’s associate art director. 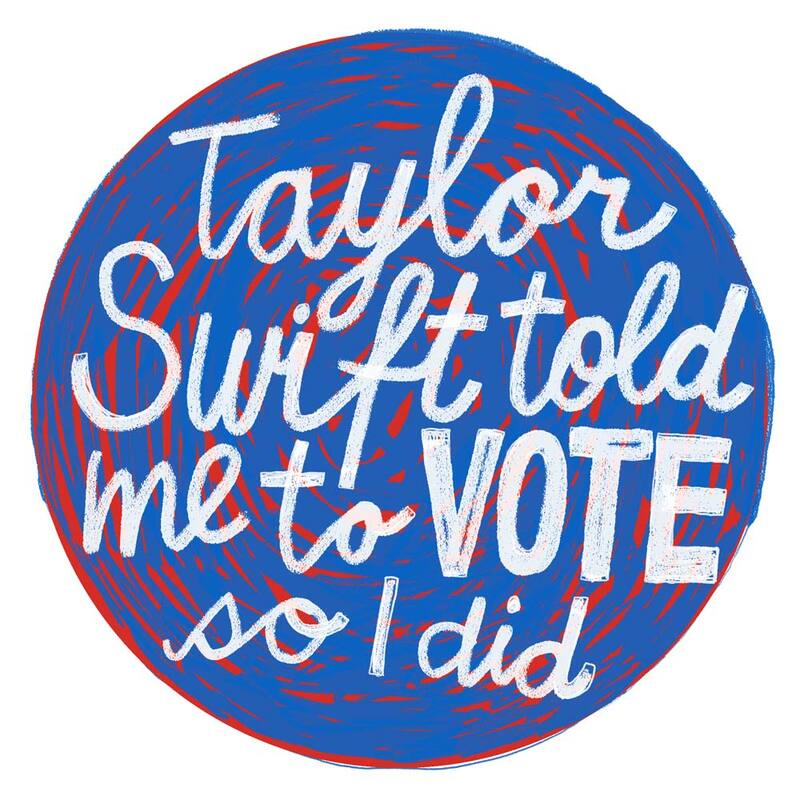 She also is the editor of Slate's Instagram account.